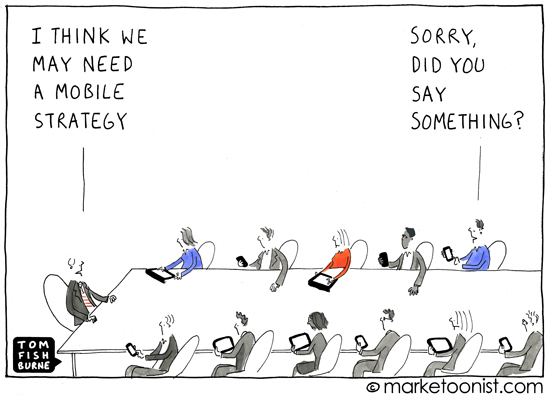 Digital technology has changed our society in an appreciable way. 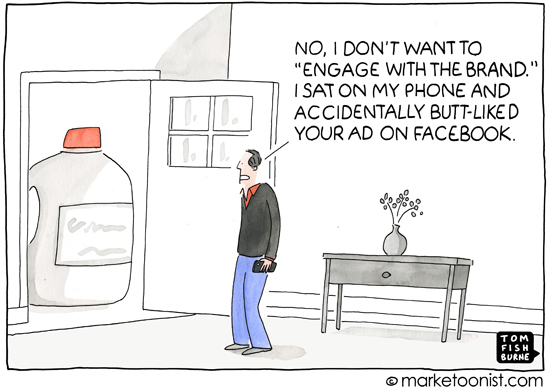 Just as our personal lives are being transformed digitally, the same happens in corporations and with our traditional technology solutions. The digital transformation affects everything from customer experience andoperational processes to business models and IT focus. 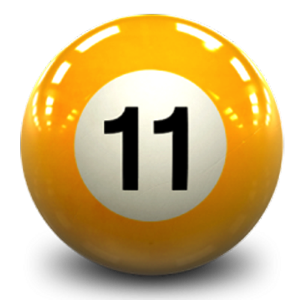 Even software development is being digitally transformed. This leads to new security and privacy challenges: In IoT and digital transformation, organizations have to deal with more identities and relations than ever before. 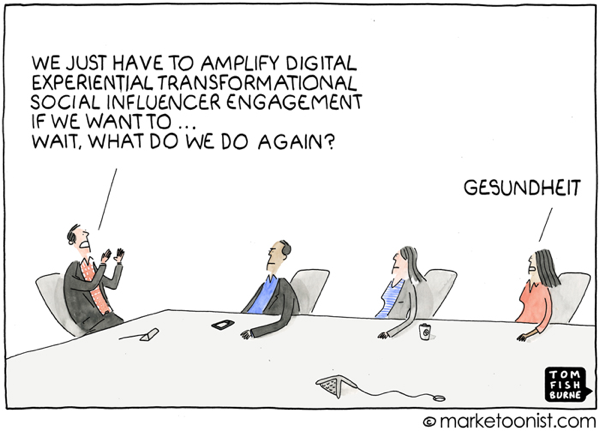 I was impressed by Martin Kuppinger’s discussion about what Digital Transformation really is. I think some people take a very narrow, IT-centric view of Digital Transformation, but Martin took a much broader view, stating that Digital Transformation impacts every part of an organization. 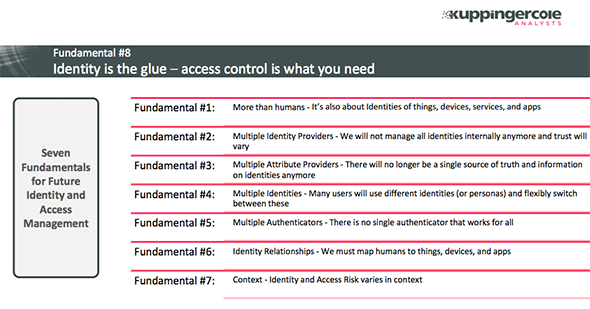 Identity is the glue – who or what may get access to what? As an Identity guy, I particularly liked the eighth statement. The biggest thread weaving through the following chart is complexity – expanded interaction among multiples of almost everything. 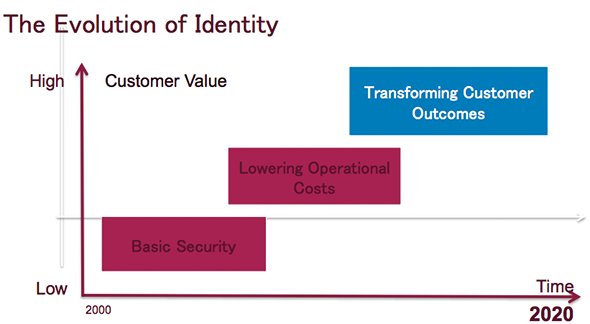 Jackson Shaw pointed out that Identity is evolving, from its initial focus on security and lowering operating costs, towards the goal of “Identity Transforming Customer Outcomes.” Digital Transformation is all about enabling businesses to disrupt the old legacy way of doing things in favor of providing new, innovative products and services that deliver real value. Certainly, Identity is a vital enabler to make that happen. 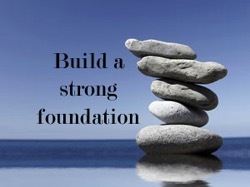 I found the presentation to be concise, informative, and thought-provoking – particularly the concept that the IAM practitioner must transition from the role of “protector” to “enabler”. 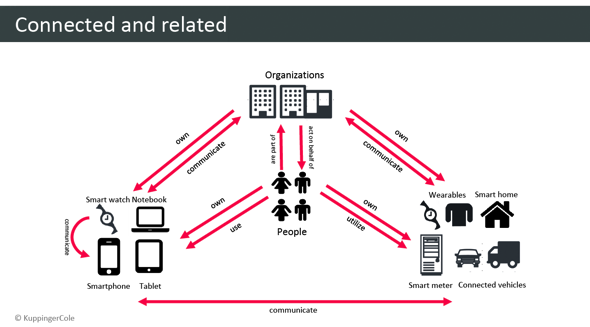 I think the following diagram does a good job of illustrating the relationships people have with organizations, mobile communication devices and other devices in the growing world of IoT. 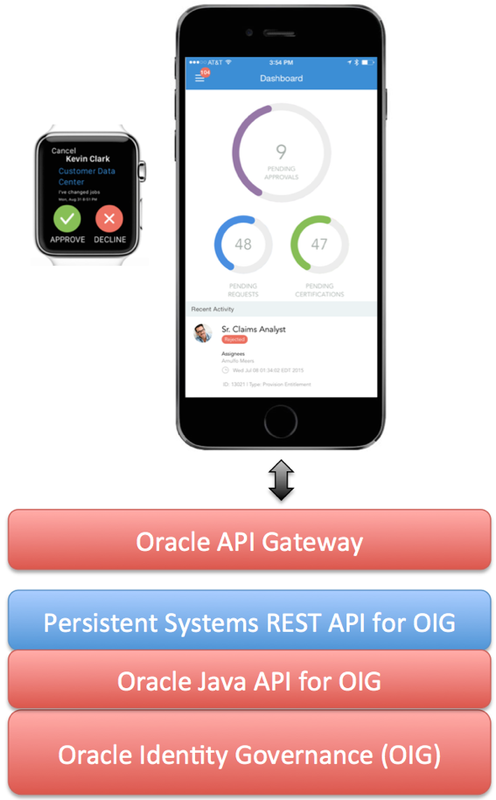 Identity Relationships are critical in enabling the potential of Digital Transformation. The 2016 dataset is bigger than ever, examining over 100,000 incidents, including 2,260 confirmed data breaches across 82 countries. With data provided by 67 contributors including security service providers, law enforcement and government agencies, this year’s report offers unparalleled insight into the cybersecurity threats you face. It marked the first time reusable, magnetically coded cards were used to withdraw cash. Nowadays, ATMs are ubiquitous. Mag stripe cards are widely used for identification at ATMs and in many other applications. EMV chip-and-PIN cards are becoming more broadly used in the US, although they have been used widely in Europe for many years. Wide proliferation of ATMs dramatically changed the consumer banking industry. I suppose that mobile banking apps and mobile payments are now changing banking as dramatically as ATMs did over the past sixty years! 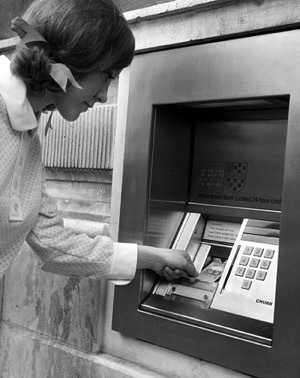 It is widely accepted that the first ATM was put into use by Barclays Bank in its Enfield Town branch in north London, United Kingdom, on 27 June 1967. 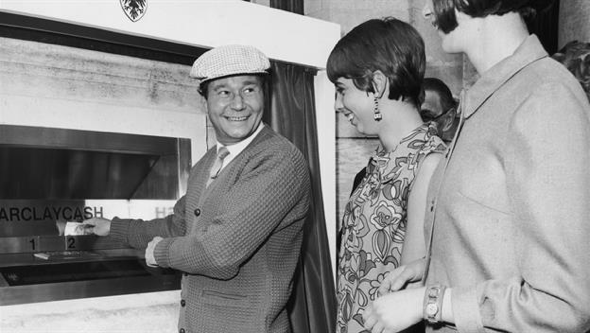 This machine was inaugurated by English comedy actor Reg Varney This instance of the invention is credited to John Shepherd-Barron of printing firm De La Rue, who was awarded an OBE in the 2005 New Year Honours. This design used paper cheques issued by a teller or cashier, marked with carbon-14 for machine readability and security, which in a latter model were matched with a personal identification number (PIN).